Odiham is a picturesque, rural historic village in the Hart district of Hampshire, dating from Saxon times and is the first Hampshire entry in the Domesday Book of 1087 because it had become William the Conqueror’s largest holding in Hampshire. King John built a castle here and it was a stepping stone to the sealing of Magna Carta at Runnymede and home to the de Montforts, the most influential baronial family in 1265. 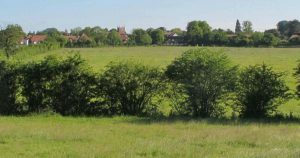 A large deer park was created around Odiham for Royal hunting and this is evident in the landscape close to the village. The Odiham area is criss-crossed by a network of footpaths where a walker can imagine medieval kings and queens enjoying hunting, hawking and recreation. Odiham comprises 3 distinct settlements: Odiham with its impressive High Street, North Warnborough which is more rural and linear in its layout, and RAF Odiham whose helicopters are frequently seen flying in the area. Just off the High Street in The Bury, the striking 13th century church of All Saints stands on the site of an earlier Saxon church. Adjacent to the church is a rare surviving example of a Pest House (sometime called Plague House) which dates from the 1620s. While nearby is the Bridewell, a former house of correction where the Odiham Embroidery hangs that reflects the history of the Parish. Odiham has an extensive choice of good restaurants and places to eat and drink. It is an ideal stopping place for travellers coming or going to London, Canterbury, Windsor, Runnymede, Winchester, Salisbury, Oxford and Portsmouth. Its convenient location is the main reason King John built a castle here! 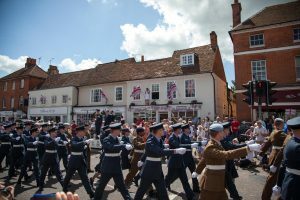 Odiham has a vibrant schedule of events, from Farmers Markets to Fetes – from Fireworks to Armed Forces Day parades. For a full list of events, please see the Parish Council Website linked below. Also please see our Facebook page for latest news, pictures and social media. 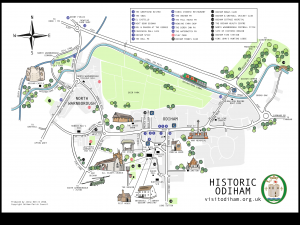 Odiham has a rich and long history. This site just touches on a few of the things Odiham is famous for. Celtic remains have been found locally as well as the remains of a Roman villa, but the roots of Odiham’s history are in Saxon Wessex. The name comes from Anglo Saxon Wudiham or settlement on the edge of wooded land. North Warnborough takes its name from the river originally called the Weargaburna or ‘felons stream’ where malefactors were drowned. In the Domesday Book of 1086, Odiham as a large royal manor, is the first entry in the Hampshire folio. At least two churches are recorded suggesting Odiham was a former minster serving a large area. The core of the settlement would have been the Bury. As Odiham was half way between Winchester and Windsor it was a frequent stopping point for Norman kings. King John built the castle here about 1200 on the site of an earlier residence. In the twelfth century a large deer park was created to cater for the royal love of hunting. The park stretched from the northern boundary of Odiham High Street to the line of the M3 and its western boundary still defines the eastern limit of North Warnborough. 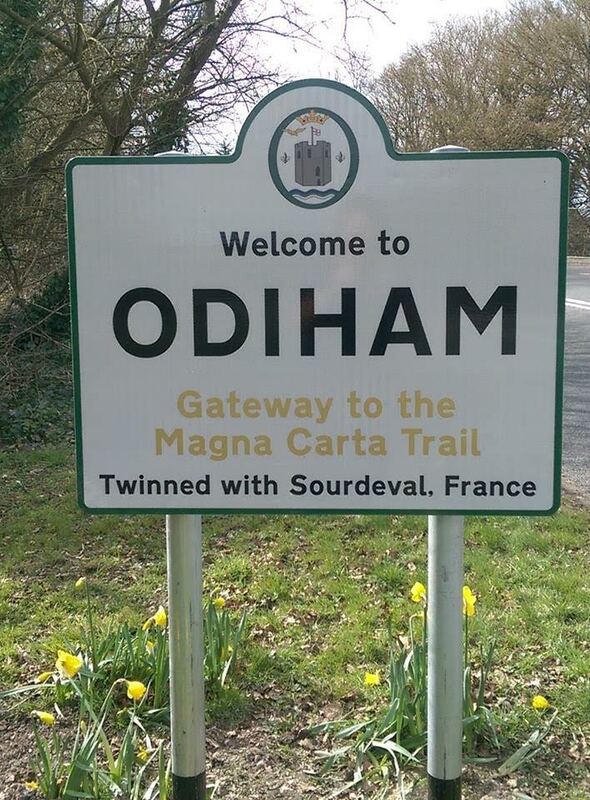 During the medieval period Odiham became a market town serving the surrounding villages. The wide High Street, with narrow burgage plots facing the road was created as the market centre in about 1200, taking the focus away from the Bury. All the medieval houses were timber framed structures and many have been tree-ring dated. 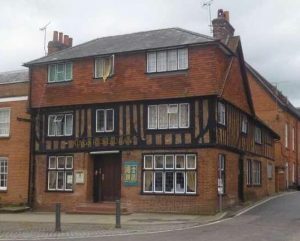 The oldest is Monk’s Cottage, 111 High Street, dating from 1300. Odiham was sufficiently important to be invited to send men to parliament but the offer was declined. This was often the prelude to gaining borough status and so Odiham remained as an unincorporated small market town. Patricia MacGregor’s book about Odiham Castle 1200-1500 explains that John was active at Odiham in the days leading up to the sealing of Magna Carta (the blueprint for democracy around the world). On May 29th 1215 he addressed a letter from Odiham to the Pope complaining about the insubordination of the barons. He travelled between Windsor, Winchester and Odiham in early June. On the 9th June he returned to Odiham and met with Peter de Roches, Bishop of Winchester, who accompanied him to Windsor the following day. 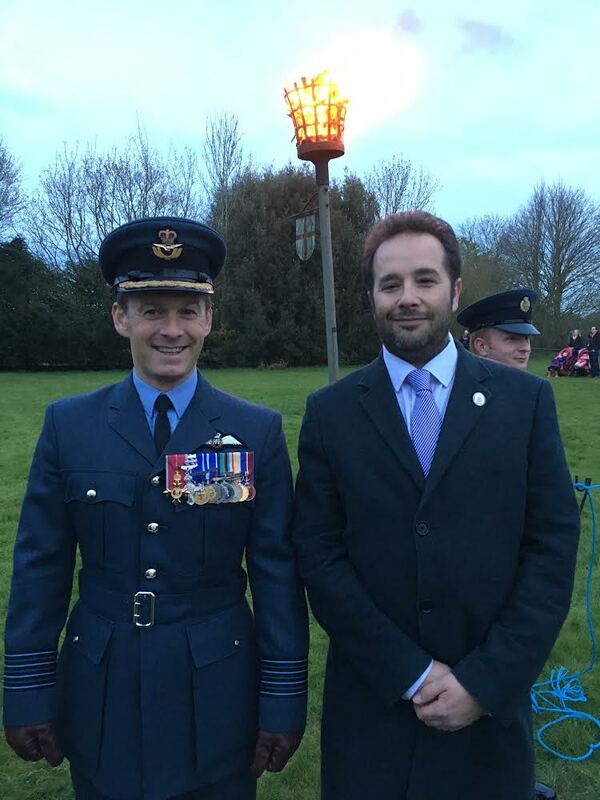 On the 10th June he met baronial leaders at Runnymede. The King was forced to agree to the limitations of his power and to consider the 48 articles (paragraphs) in the Articles of the Barons. The Articles were drawn up in an attempt to avert civil war, and formed the basis for Magna Carta, which was agreed by King John at Runnymede on 15 June following five days of concentrated discussion and negotiation, when many of the Articles of the Barons (which King John had accepted in principle) were amended. 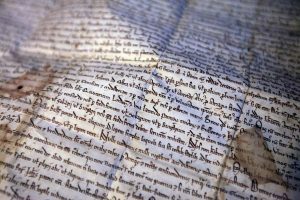 Magna Carta finally consisted of 63 clauses but in the charter itself the clauses were not numbered, and the text read continuously. The barons, successfully had said ‘no’ to the King and no King of England would ever have unrestricted power again. King John returned to Odiham Castle on 26th June on his way to Winchester. 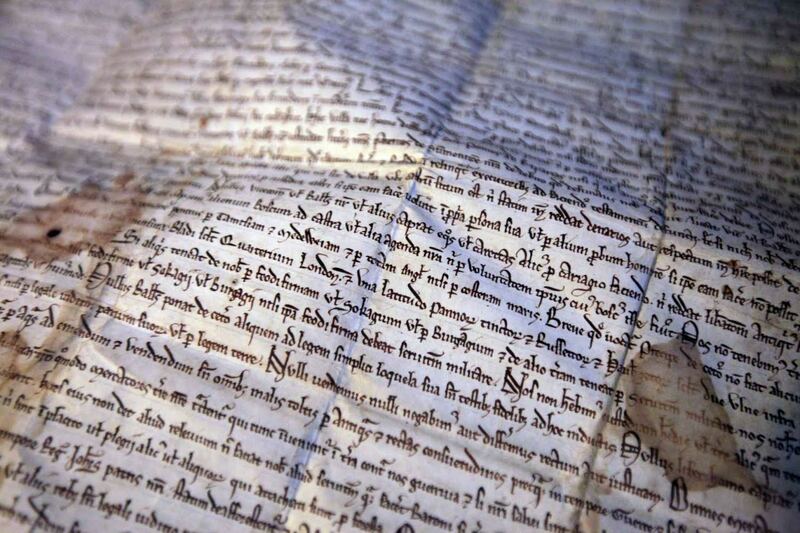 The following day, the 27th June 1215, the Anglo Norman (vernacular) translation of the Magna Carta was issued from Odiham, along with the writ addressed to the Sheriff of Hampshire. As King John had sealed the Magna Carta under duress, as soon as hostilities ceased, he received approval from his overlord, the Pope, to break his word. This action provoked the First Barons’ War. They invited Louis the Dauphin, son of Philip II of France, to take the throne. On 21st May, 1216, Louis landed unopposed on the Isle of Thanet in Kent. He was offered little resistance when he entered London and was proclaimed king at St Paul’s Cathedral (but was not crowned). 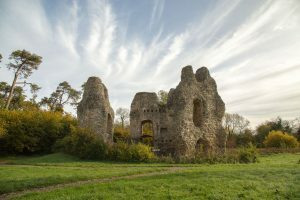 King John travelled around the country to oppose the rebel forces and on April 14th he made his last visit to Odiham Castle and stayed for five days. On the 14th June Louis took Winchester and then headed for Odiham. Here he encountered his first serious opposition. The occupants of the castle resisted waves of assaults by the French army. On the 3rd day the French brought up siege engines and placed them around the tower and missiles were fired. The occupants – three knights and ten sergeants made a sortie and engaged with an equal number of the enemy before withdrawing. They held out for a further twelve days and on 9th July 1216, they surrendered having been assured they would retain their freedom, arms and horses. It is recorded that the French were filled with astonishment and admiration for the defenders when only thirteen men rode out! 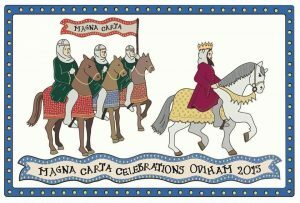 The attack on Odiham castle is recorded as one of the 24 most significant battlefields and sieges in the story of the fight for Magna Carta by The Battlefields Trust and The Magna Carta 800th Anniversary Commemoration Committee. 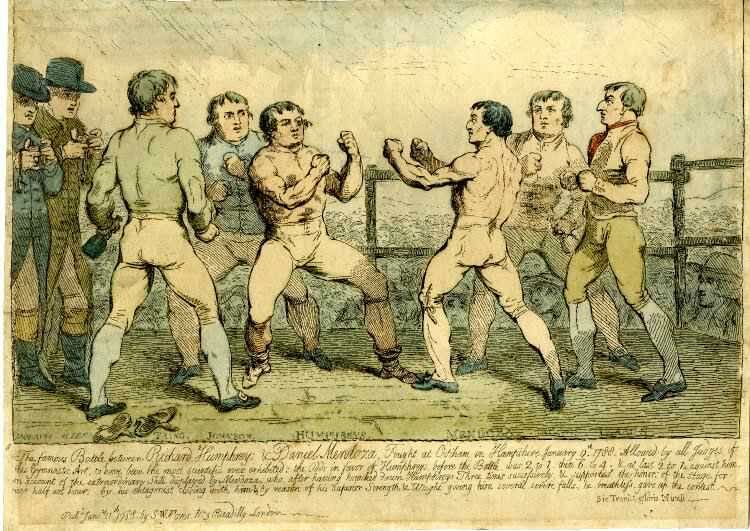 One of the biggest factors in boxing’s explosion in popularity from 1788 was the publicised and dramatic rivalry between Daniel Mendoza and Richard Humphries. This was played out across three contests between 1788 and 1790 – the first of which took place in Odiham. It was said that the two rivals had once been friends, but by early 1788, before the drama of their first fight, they had become bitterly estranged. 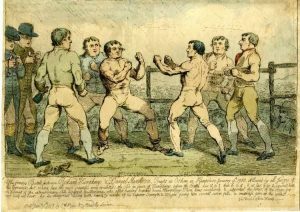 To much anticipation, their first fight was agreed in late 1787 and seemed to have all the drama that you have come to expect with modern day boxing matches – albeit with slightly more refinement. In almost a stereotype of an English gentleman, Humphries seemed to goad his rival by declaring that he would conduct himself “with as much composure as if he was sipping a dish of tea”. The contest at Odiham took place on the 9 January 1788 on a specially erected stage in the presence of hundreds of spectators and was described by one writer as “the memorable bout between Achilles and Hector hardly excited more expectation”, even the weather was dramatic, with driving rain forcing Humphries at one stage to remove his shoes. The fight, narrowly won by Humphries, was followed by accusations from Mendoza’s camp of foul play, relating to an incident that occurred early in the contest, when Mendoza forced Humphries against the railings. With Humphries looking vulnerable to a knockout, Mendoza aimed a second blow at him, only for Humphries corner man, Tom Johnson, a famous boxing champion in his own right, to intercede and block Mendoza’s punch. The Mendoza faction immediately cried foul at what they claimed to be illegal interference. Humphries’ camp claiming that their man was already down, and it was actually Mendoza who had contravened the rules by aiming another blow. The umpires sided with Humphries and the fight continued. It was suggested this incident ruined Mendoza’s focus and put him in an agitated frame of mind. Over the next 29 minutes Humphries landed blow after blow on Mendoza, who was eventually knocked to the ground and had to be carried off the stage, apparently lifeless. The fight at Odiham was however, just the beginning. The fight continued in the press and despite Humphries being rumoured to retire if he won, a rematch was arranged. The two men went on to conclude a trilogy of equally dramatic fights that would see Mendoza eventually establishing his superiority over his arch rival. 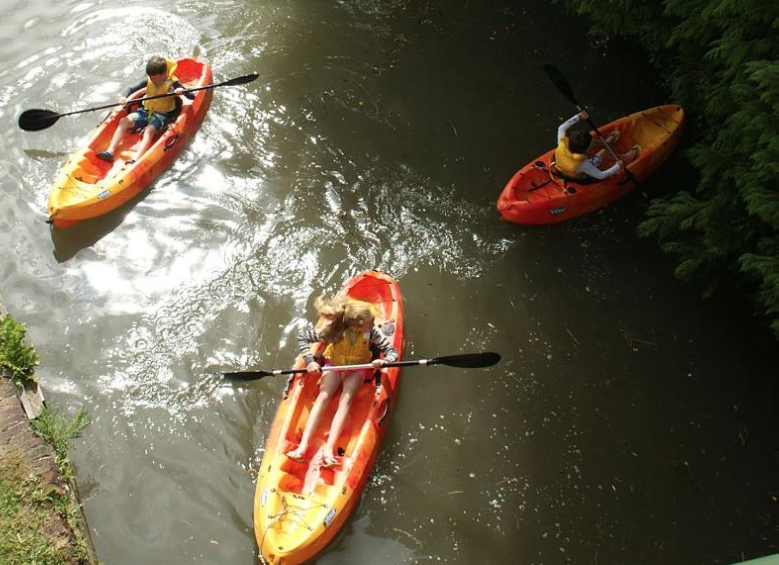 The Basingstoke Canal provides Odiham with a stunning waterway, used by canal boats, canoeists and for fishing. 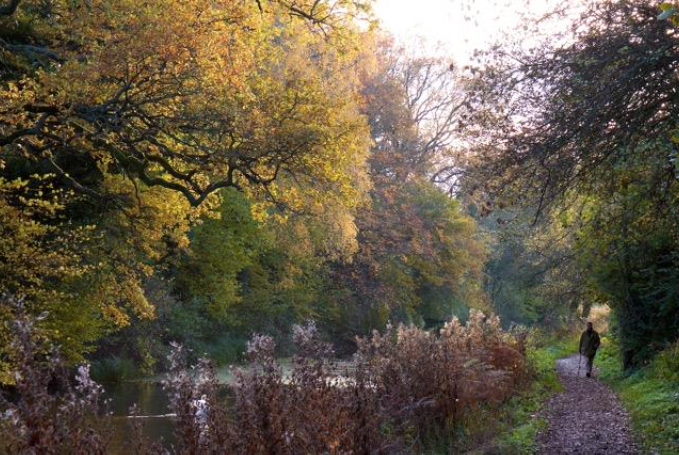 It offers beautiful walks along the towpath and is a site of scientific importance. It was completed in 1794 and ran from Basingstoke, passing through or near Greywell, North Warnborough, Odiham, Dogmersfield, Fleet, Farnborough Airfield, Aldershot, Mytchett, Brookwood, Knaphill and Woking. Its eastern end is at Byfleet, where it connects to the Wey Navigation. This, in turn, leads to the River Thames at Weybridge. Its intended purpose was to allow boats to travel to and from the docks in East London to Basingstoke. The canal was conceived as a way to stimulate agricultural development in Hampshire, although one of the main cargos carried from Basingstoke was timber. The canal was never a commercial success and fell into disuse. From 1950, lack of maintenance allowed the canal to become increasingly derelict. After many years of neglect, restoration commenced in 1977 and on 10 May 1991 the canal was reopened as a fully navigable waterway from the River Wey to almost as far as the Greywell Tunnel. During the Napoleonic War, Odiham was the home of French prisoners of war. Frenchman’s Oak, is an ancient tree situated on the west side of London Road. It is reputed to be a boundary tree denoting the limit of parole of French prisoners of war. 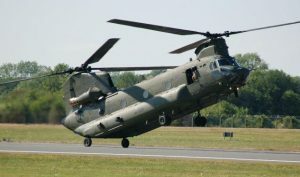 Odiham is home to the UK Chinook Force. Royal Air Force Odiham operates three Chinook squadrons and one Army Air Corps (AAC) Lynx squadron. Their personnel are engaged in operations and exercises throughout the world and held at readiness to deploy worldwide. 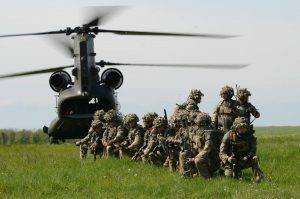 The contribution of RAF Odiham’s personnel, both at home and abroad, provides critical support to the delivery of the UK military’s operational tasks, The Parish of Odiham is honoured to have them stationed within our community. “When we conquer England, Odiham will be my Air Headquarters”. The popular belief is that after being invited to open RAF Odiham as a permanent airfield in 1937, the Chief of Staff of the Luftwaffe – General Erhard Milch was so impressed with what he saw that he is reputed to have told Hitler: “When we conquer England, Odiham will be my Air Headquarters”, and he ordered his pilots not to bomb RAF Odiham. 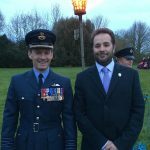 Whether or not this story is true, the fact remains that RAF Odiham was never actually bombed during the war. Odiham however did see action. On the 18th of October 1940, a lone German bomber machine-gunned and bombed Odiham High Street, tragically killing 5 civilians. Luftwaffe Aircraft were first spotted in the Odiham vicinity on the 10th August 1940 carrying out area reconnaissance. On the 12th August 1940 as part of the Pre-“Adler Tag” (Eagle Day) Luftwaffe Offensive on RAF Fighter Command Airfields…..RAF Odiham was the briefed target for an early morning raid by the Junkers 88 of Kampf Geschwadern 51 (Bomber Group 51). They were fortunately successfully intercepted by the Hawker Hurricane Fighters of No.43 (F) Sqn from RAF Tangmere, West Sussex. They were harried and given such a mauling by No.43 Sqn that they lost cohesion and missed their target. Indeed the only attack which did develop was on the 15th August 1940 and that was a mistake! Some JU88 crews of Lehr Geschwadern 1 (Operational Trials Wing 1) targeted RAF Odiham through a navigation error, being under the impression they were attacking their briefed target RAF Andover! Little damage was sustained, but this did not prevent a decoy target airfield being established by the Air Ministry at Froyle, some three and a half miles to the South. The next attack on the airfield did not occur till the 23rd March 1941. While airfield expansion work was in progress a JU 88 jettisoned 12 bombs in the vicinity of the airfield while trying to get away from a very persistent Hurricane. Three days later on the 26th March 1941 another Luftwaffe Bomber was engaged by the Station’s defences as it flew low over the camp. This was the last known and recorded incident of Luftwaffe aircraft in the close vicinity of RAF Odiham in WW2, having never sustained any significant damage in a deliberate attack. Also known as King John’s castle. King John began construction of a castle on the banks of the local river Whitewater in 1207. It provided a convenient and secure stopping place, half way between Windsor and Winchester, where he could also indulge his passion for hunting in Odiham’s Royal Deer Park. It is believed that the king and his entourage rode out from Odiham castle on the morning of 10th June 1215 to meet baronial leaders on the water meadows of Runnymede, where the Articles of Barons was probably sealed on the same day. A beautiful Norman building on the site of a Saxon minster. 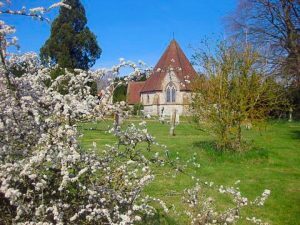 During the civil war Odiham lay between Royalist Basing House and Parliamentary Farnham and a contemporary account recorded: “The good people of Odiham were sadly disturbed whilst in church on 11th Feb 1644. 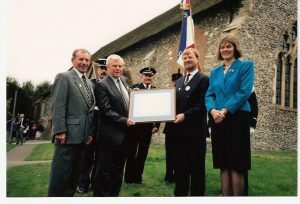 Some of the garrison of Farnham Castle rode into church during the service and presented their pistols at Master Holmes the Minister, saying with a loud impudence: “Sir, you must come down for we do not allow such kind of preaching”. One trooper fired his pistol in the church and a number of women fainted and one, Bushell’s wife, fell down dead”. 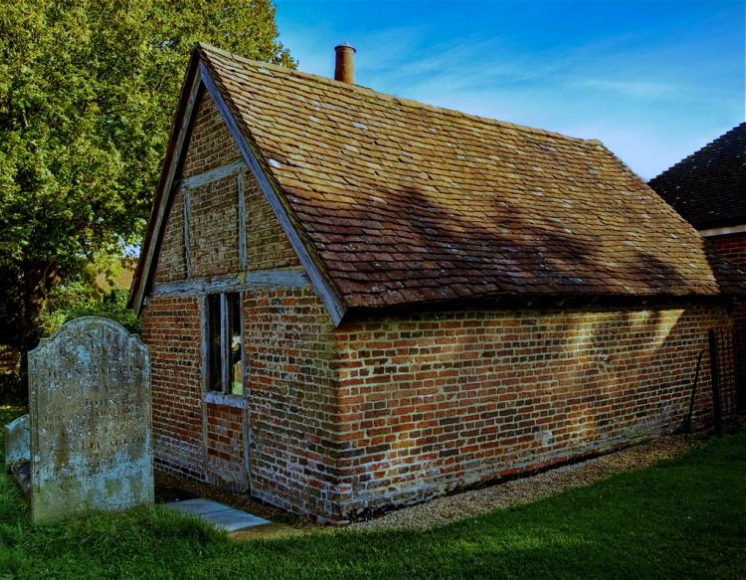 ‘Pest’ was the old word for plague and Odiham’s Pest House, built in 1622 as a dwelling house for the poor, was subsequently used as an isolation hospital for residents or travellers with plague, smallpox or other infectious diseases. It is 1 of only 5 surviving examples in England. After 1781, the building reverted to a dwelling house for the poor and its last resident died in 1930. 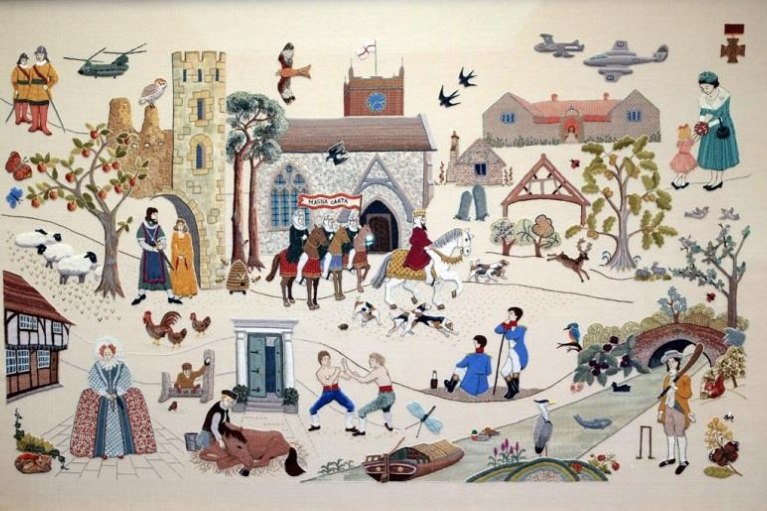 The complex embroidery, designed by Odiham-based artist Mary Turner, depicts 800 years of local history from the time of Magna Carta and reflects the history of England as it was played out in our Parish. It features King John and the barons setting off for Windsor and Runnymede, visits by both Queen Elizabeth I and II, the meeting in Odiham that led to the founding of the veterinary profession in Britain, French prisoners of war held on parole at Odiham and North Warnborough during the Napoleonic war, and the great heavyweight boxing match between Mendoza and Humphries in 1788, among many other scenes. Eleanor de Montfort, King John’s daughter, is also shown, along with her husband Simon de Montfort who returned to join her at Odiham Castle following the first Parliament with elected representatives in 1265. The panel has been divided into individual parts that have been worked on separately by around 70 volunteer stitchers. Considerable research and planning has gone into the project. 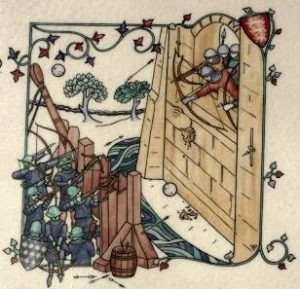 It has been stitched in traditional materials and techniques that have been recommended by the Royal School of Needlework at Hampton Court and the National Needlework Archive in Newbury. 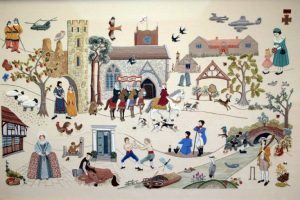 The framed Odiham Embroidery has been hung in Odiham’s Library at the Bridewell, having been unveiled at a private ceremony on 16th May by Lady Portal, High Sherriff of Hampshire followed by a reception for stitchers and those directly involved with the embroidery. Odiham Common is a beautiful amenity enjoyed by people throughout the district and beyond. The Common is one of the few examples of wood pasture outside the New Forest and is a Site of Special Scientific Interest (SSSI). Parking is available in Colt Hill Wharf car park – which is also right by the canal and offers a stunning picnic spot and place to feed the ducks / swans. An area of land known as The Firs, now owned by Odiham Parish Council is a former beacon hill, which was used to signal the approach of the Spanish Armada. A replica beacon has been erected closer to the village and is used to mark national celebrations such as Royal Jubilees and birthdays. 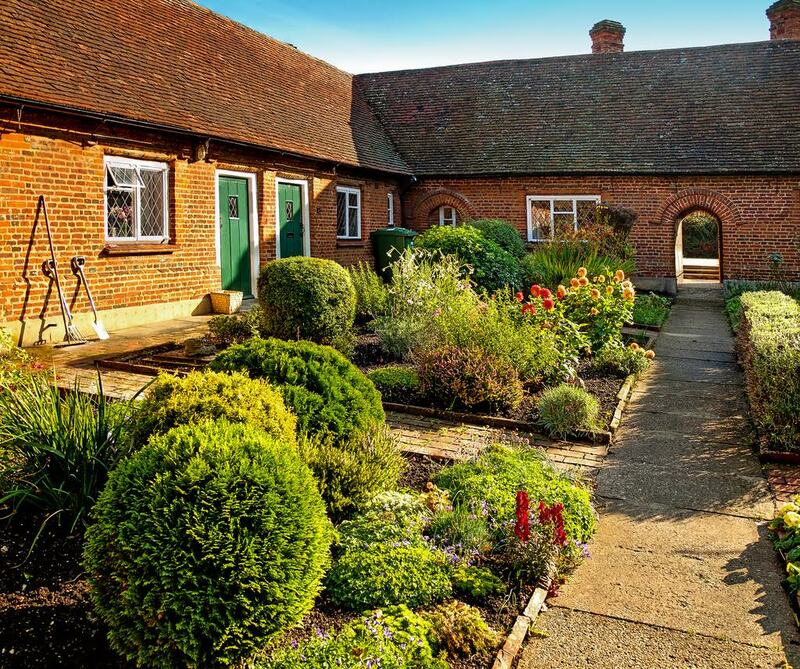 Old Court Almshouses were endowed in 1623 by Sir Edward More who leased the Manor of Odiham from the Crown. 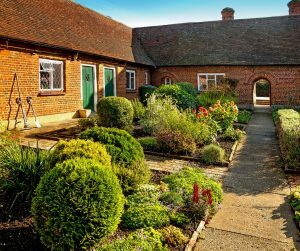 The almshouses today are under the stewardship of Odiham Consolidated Charities who carry on the good works of the original benefactors. The almshouses show a very early use of brick in Odiham. In the prosperous eighteenth century many High Street houses were re-fronted in brick. Local brickworks survived on Odiham Common until the early years of the twentieth century. 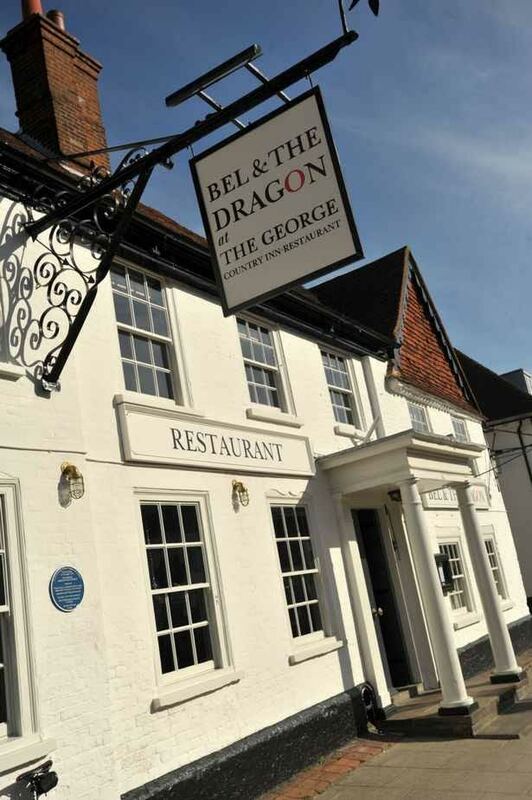 Bel & The Dragon at The George is the largest half-timbered building in Odiham. It is Grade II* listed and dates from the 15c, 16c and 18c. Originally built probably as a high status house in 1473, it was first granted a license as an Inn in 1585. 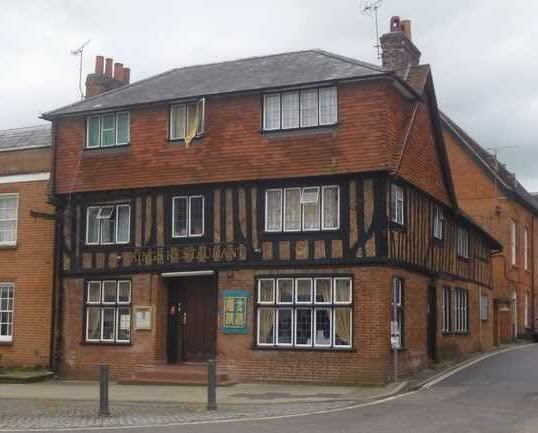 The Odiham Agricultural Society was formed in 1783 in The George Inn – a ‘society for the encouraging of Agricultural and Industry in their town and neighborhood’. It was from this Society of local landowners and men of learning that the idea of giving young farriers a “scientific education” to improve the treatment of sick animals evolved into a plan for the creation of a veterinary profession. This plan led directly to the establishment of the Veterinary College in Camden Town in 1791. Originally a house of Correction or prison was built in 1743 with a small exercise yard and separate male and female accommodation. It was one of the first in Hampshire. 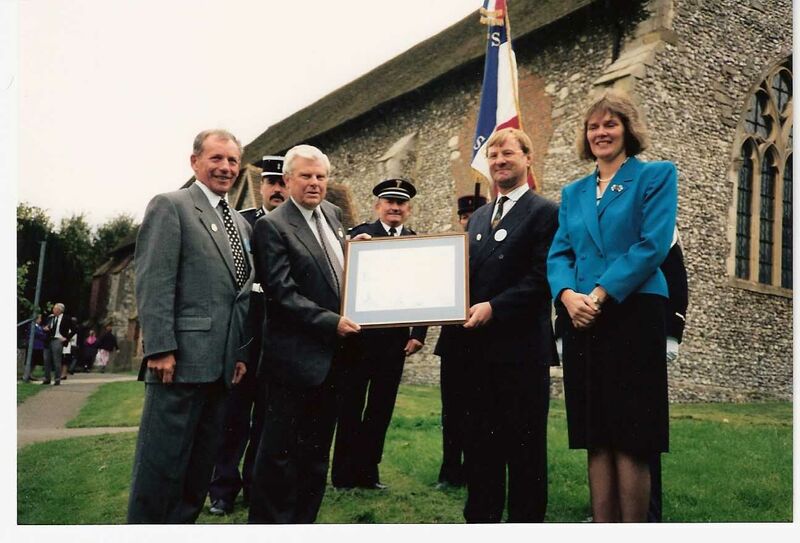 Later it was used as a Police Station and Court and is now home to Odiham Library and the stunning Odiham Embroidery. The Cross Barn in Odiham, is one of the earliest agricultural buildings built of brick in Hampshire and is one of the jewels in the valuable collection of Odiham’s historic buildings. Originally built in 1532 during the reign of Henry VIII, the Cross Barn was expertly converted in 1997 and is now available for public events hire. 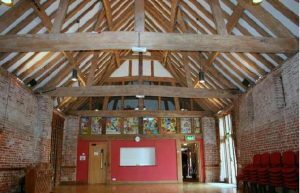 Its size and position in the centre of the village make it an ideal “venue with a difference” for meetings, exhibitions, lectures, classes, private functions, celebrations and children’s parties. The Great Hall, the largest room in the Cross Barn, has under-floor heating and is strategically lit with quartz halogen, dimmable uplighters for ambience and independent low-energy downlighters for bright, even illumination at table-top height. The Great Hall accommodates up to 120 people in theatre style and up to 80 for a banquet. Additionally there is a separate upstairs meeting room, the Hayloft, which will comfortably accommodate 10 people at a meeting table or a maximum of 25 seated in rows. This room is let independently from The Great Hall. The Cross Barn has become the hub of community life in Odiham. One of the most attractive parts of the Canal is a short distance north of Broad Oak, where a small pond lies beside the Canal. Nearby, stands one of the strangest and most attractive buildings of North Hampshire, the ‘Hunting Lodge’. This was probably erected in the 1730’s to house a gamekeeper working for the Dogmersfield Estate, but was given its very special facade to make a point of interest in the view from a Belvedere in the park which was developed in the middle of the 18th Century. This is the only surviving structure of an extraordinary set of buildings which stood for a mere 40 years, only to be destroyed about the time the Canal was built in the 1780’s. At that time the whole area was remodelled in the new Capability Brown style which sought a harmonious natural landscape, one no longer cluttered by such romantic curiosities. The Hunting Lodge survived perhaps because it served a useful purpose, and perhaps because it was cut off from the rest of the park by the new Canal. The ‘Hunting Lodge’ is privately occupied so walkers are asked not to disturb the peace of this beautiful spot. Our High Street runs west to east along a line of springs and was mainly built in the 15th to 18th centuries. Long ‘burgage plots’ are behind most of the medieval properties on the north side of the street. Georgian frontages were added to many properties to hide timber framing and jetties. There is attractive architecture, interesting shops and good hospitality. The canal was completed in 1794 and was built to connect Basingstoke with the River Thames at Weybridge via the Wey Navigation. 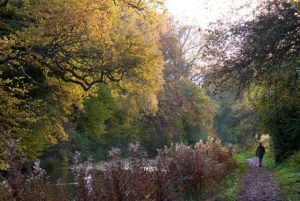 It is now a Site of Special Scientific Interest (SSSI) offering lovely walks and canal boat rides. 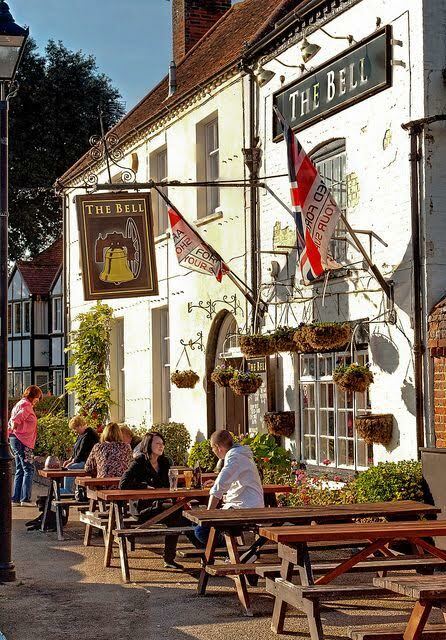 The Bury, the village heart with a church and pub facing, was the original area of settlement and fairs were held here from the 15c to 19c. It is now used for many town events including farmers markets, carol singing, jazz and more. 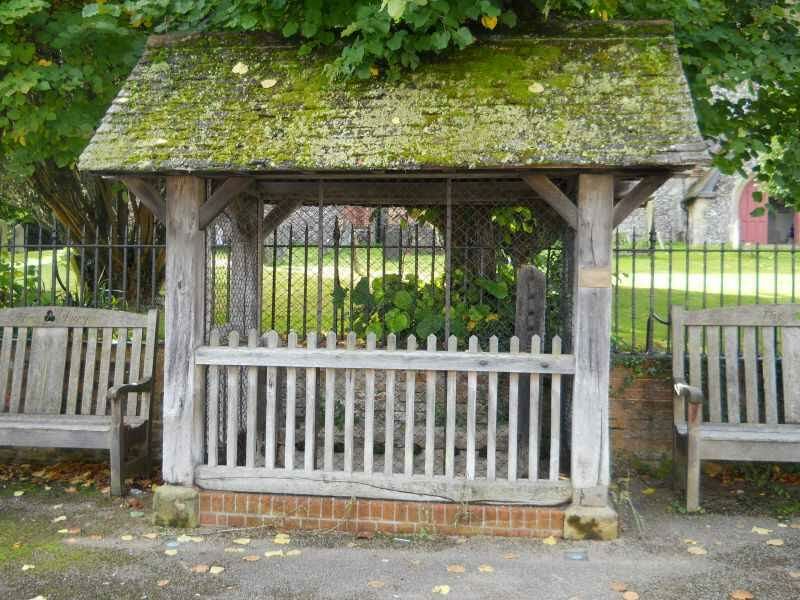 From 1376 every town or village had to have stocks ‘to encourage virtue and discourage evil doers’. They were used up to the early 19c to punish misdeeds such as blasphemy, drunkenness and breaking the sabbath. Saxon royal hunting park lying to the north of the High Street – which was first mentioned in 1130 and has a distinctive oval footprint with kinks to the north, south, east and west denoting former gates which remain today. Now farmland crossed by public footpaths – a great place to walk, but bring your wellies if it has rained!! In Saxon days it was used as a hunting ground to supply deer and other animals for the inhabitants of a royal palace at Odiham, and later for the new castle west of the boundary. In 1630 there were still 600 deer kept in the park. The Royal Parkers also used to breed horses here from King John’s reign onwards. They were stabled in a building in the park. Record of this is preserved still today in the area called ‘Colt Hill’. 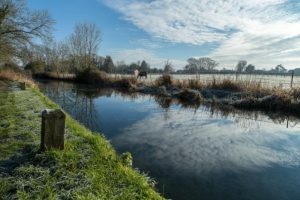 In the later 18th Century, about the same time as the Basingstoke Canal was being built, the present day field system of the local farms was being settled. Although the park’s land was incorporated into the system, part of the perimeter may still be traced. The original boundary was defined by banks and ditches, and the field system, when laid out, conformed to these same features. Trees have grown along the old banks, however, so today much of the Boundary is instead marked by large old trees, some of which can be seen in the distance from this section of the Canal. For more information on the history of the Deer Park please see the historical overview. At the top of the hill in King Street is the entrance to the cemetery, which was consecrated in 1860 by the Bishop of Winchester. By 1859 the churchyard was full and a new burial ground was needed. Odiham Burial Board of local worthies was formed. The initial plan was to purchase three acres in chalk pit field from Sir Henry Mildmay of Dogmersfield Park, but he wanted £200 per acre. The board then settled for two and a half acres bought from J.G. Seymour, the local banker, for £100 per acre. 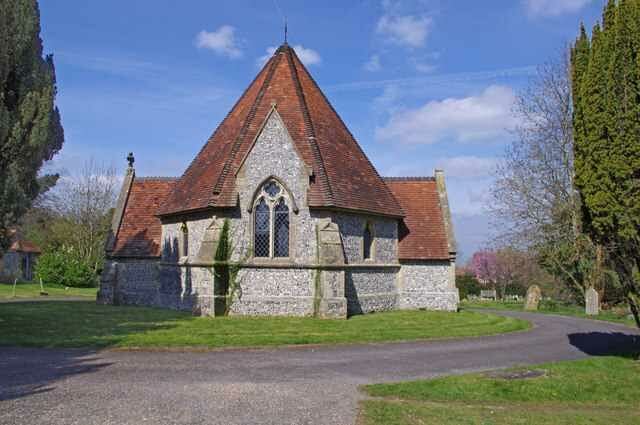 The two mortuary chapels, the north for non-conformists, the south for Anglicans, the cottage and gates were designed by the Winchester architect J. Colson, and cost £1050 to build. The Burial Board borrowed £2000 from the government repayable from the Poor Rate. The Parish Council took over respons ibility when it was formed in 1894. The chapels have not been used for many years, but as listed buildings are maintained by the Parish Council, with the last major renovation being done in 1991 and 2015/16. The cemetery was enlarged in 1913 and the northern extension was purchased from A.J. Parsons in 1939. There is an area set aside for RAF burials, and there is now an area for non-Christian burials. Round trips on the 50 seat John Pinkerton canal boat, which also offers on board refreshments and snacks, can be booked from Colt Hill to King John’s castle. The John Pinkerton also offers private charters and accessible boating. A sister company provides opportunities for disabled people to enjoy the canal. Galleon Marine is open for rowboat, kayak and canoe hire on weekends 10am until 5pm and weekdays 10am to 5pm from March until the end of October. If you just fancy ‘messing about on the water’ hire a rowboat, kayak or canoe by the hour or if you’re feeling very fit, a half or full day! On your return you can reward yourself with an ice cream or refreshing cold drink from our on-site kiosk open from 10am to 5pm daily. We completely replaced our fleet of old kayaks with new sit-on kayaks in 2015. 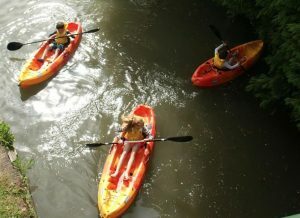 These kayaks are more stable and easier to paddle. They have dry storage for mobile phones and wallets. Why not give them a try! Narrow boat holiday hire is also available – and they do great ice creams! 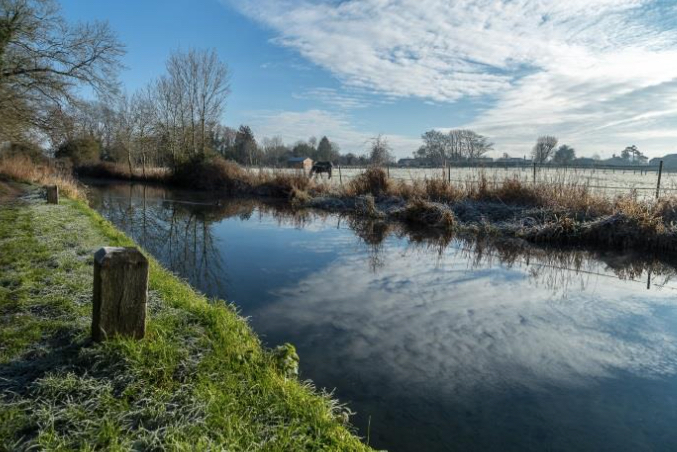 Surrounded by conservation areas, with a beautiful canal, areas of special scientist interest and being steeped in history, Odiham offers some of the most stunning walks in Hampshire. 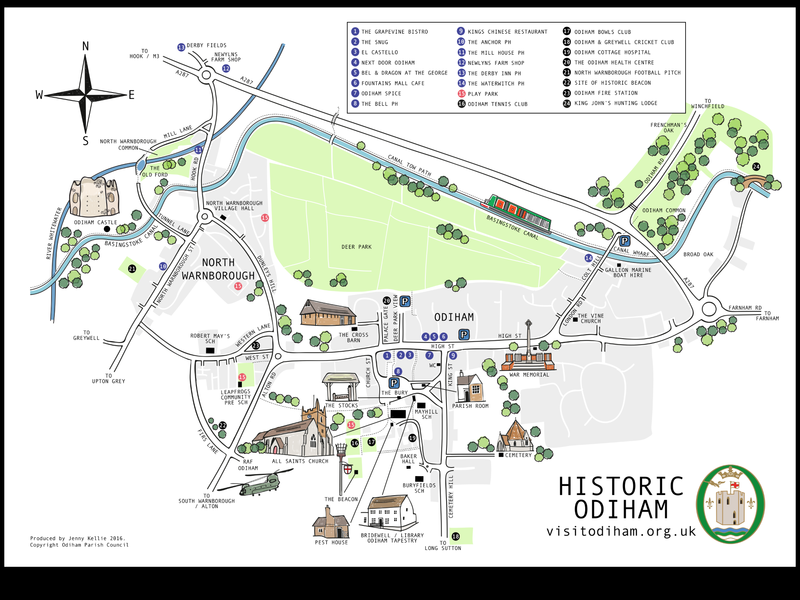 For some recommended walks and a full footpaths map please see the Odiham Society walks page. The Old Ford is part of the stunning North Warnborough Green and is a great spot for a paddle on a sunny day. It can be found at Mill Lane. Why not combine it with a lovely stroll along the Basingstoke Canal and a visit to Odiham Castle, stopping at Odiham Ford, part of the River Whitewater, to cool off. Would you like to find out what bowling is all about, or do you feel you might benefit from some gentle exercise? Perhaps you would like to have some fun with new friends? If so, then come along to the bowling green, off Buryfields in Odiham, on Tuesday or Friday afternoons at 2.00pm. No previous experience is necessary. We will provide the bowls and shoes and our members will be on hand to give you some coaching on how to play the game. Refreshments will also be available. 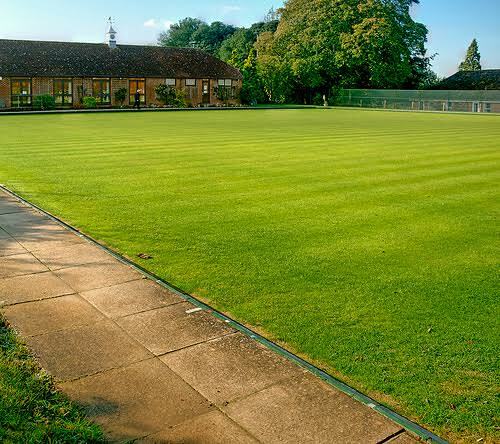 Odiham Tennis Club is a friendly, well equipped club based in the heart of Odiham. They welcome members of all abilities, ranging from the serious team player who represents the club in the local district leagues to those who just wish to enjoy a casual game of tennis with friends. Families are very welcome and they have a strong junior membership. The club is run by a volunteer committee who organize a range of tennis activities throughout the year including an annual club championship, floodlit league, singles ladder league and three weekly club sessions for all levels of player. The club also runs nine successful teams in the local district tennis leagues. A public tennis court is also available and can be hired by contacting the Parish Council. We are extremely lucky to have a first class cricket club within our Parish. 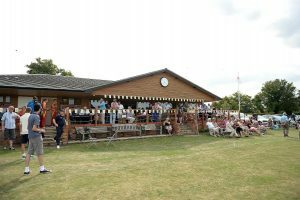 Odiham and Greywell Cricket Club can trace its origins back to 1764 making them reputedly the third oldest cricket club in the world! It is a stunning ground with a brilliant club house, so if you want to find out more, or If you are interested in joining the club, want to try a winter training session or just want to enquire about becoming a social member of the club to be able to make use of their wonderful clubhouse ….then please find contact details at their website. Bel & The Dragon at The George is a Grade II* listed former inn with features dating as far back as 1540, offering a unique combination of stylish accommodation, good food and a warm welcome. Their menu combines good British flavours and modern adaptations of simple classics to make delicious dishes. The rotisserie offers such delights as roasted suckling pig, while the Josper Grill makes a range of melt in your mouth dishes, including marinated & chargrilled sirloin steak. The bar, complete with comfortable seating and stunning furnishings, offers the perfect place to relax. Homely tartan rugs, comfortable armchairs, quirky bookshelves and chunky oak refectory tables with original wooden beams and panelling can be found. The Red Lion is open every day from 9am serving Mozzo coffee, tea and treats, delicious lunch and dinner menus and weekend breakfasts. The seasonal menus and daily specials board features fresh, locally sourced ingredients to create mouth-watering dishes, whatever the season. The team believe that using fresh ingredients that have travelled little distance from field to kitchen, helps make the food taste great. For that reason they have created good relationships with quality local farmers, fruit and vegetable suppliers and local bakers to follow through on their belief that food should be fresh, seasonal and local, wherever it possibly can be. The Mill House, a Grade II listed watermill with its roots steeped in medieval times, is an extraordinary building. Upstairs you’ll find a forest of beams and floors that have warped and tilted over hundreds of years, and throughout its properly atmospheric. Amazing food is served daily with a superb roast on a Sunday. 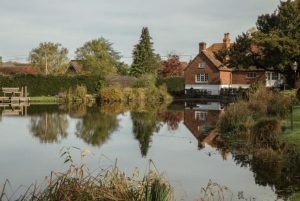 The gardens and the Mill pond are an absolute delight on a sunny day: there is nowhere more pleasant for a spot of lunch with family and friends. 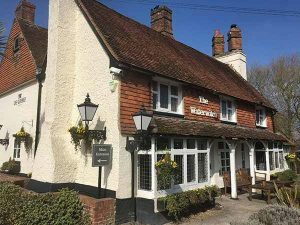 If you’re looking for an English country pub in a wonderful waterside location, then visit the Waterwitch pub. 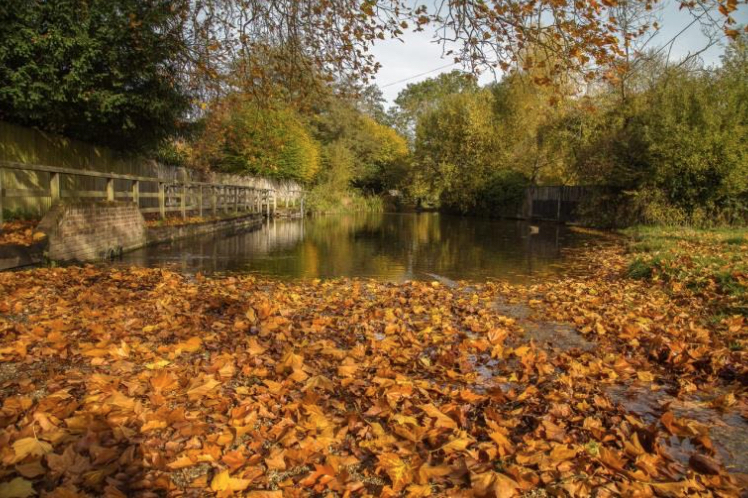 Situated on the banks of the Basingstoke Canal with extensive gardens stretching right to the water’s edge, it’s the ideal stop off point if you’re out enjoying a relaxing canal side walk, bike ride or boat trip around Odiham. Step inside and you’ll see the pub has retained many of its original 17th century features such as exposed beams, open fires and lots of inviting nooks and crannies. They offer a wide range of cask ales and a tasty selection of traditional pub food, seasonal dishes and weekly food specials, lovingly prepared by their chef. Bring all the family and enjoy a tasty Sunday lunch. Situated in North Warnborough, the Anchor is a traditional local family pub with two separate bars, serving food and ale. There is a large beer garden with plenty of parking to the rear of the pub. 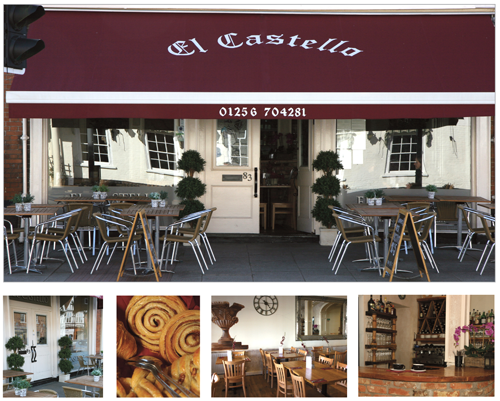 Excellent quality food at the right price in comfortable surroundings. 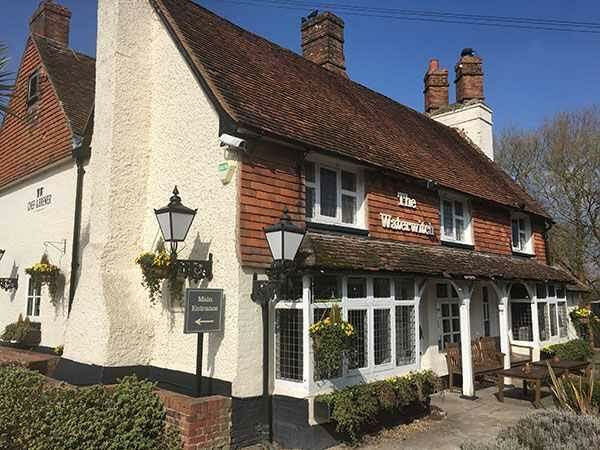 We endeavour to provide our customers with a traditional British “pub” meal with flair alongside a well-kept real ale or a glass of wine from our diverse, carefully chosen, wine list. 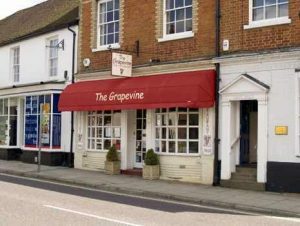 The Grapevine Bistro was established in 1994. It has maintained its simple style using fresh ingredients and changing menus frequently. This is a friendly pub at the heart of the village, located in the Bury opposite the Church, off the High Street. 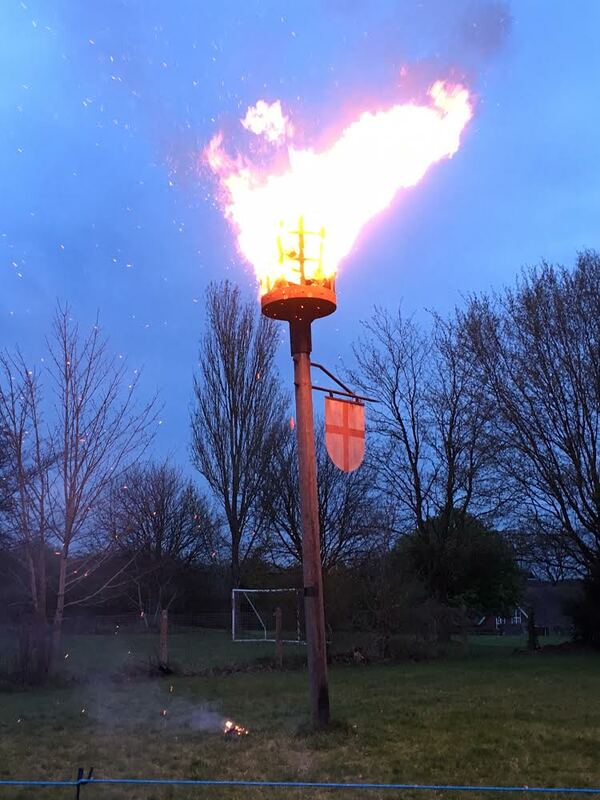 It is a traditional pub with a real fire, selection of ales, great food and a warm welcome. 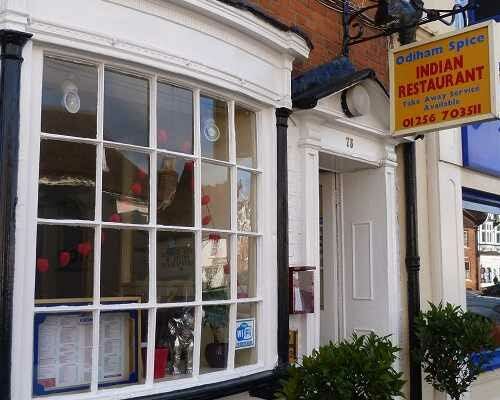 Odiham Spice is run by an experienced team who have been in the business for 27 years. Our air conditioned 40 seater Indian restaurant is cosy and comfortable, and suitable for any occasion, big or small. We also offer an excellent fully equipped off- site catering service for parties and larger functions. We believe in letting the quality of our food speak for itself and look forward to seeing you! 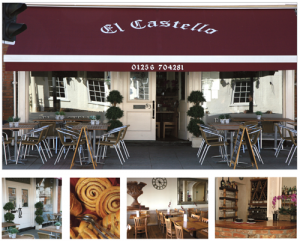 Set in the heart of Odiham, El Castello is a vibrant, unique and friendly Italian Mediterranean restaurant. Boasting a vast array of both traditional and modern dishes, El Castello delivers culinary delight to even the most discerning of palates. We are open all day every day and even offer take-away service. 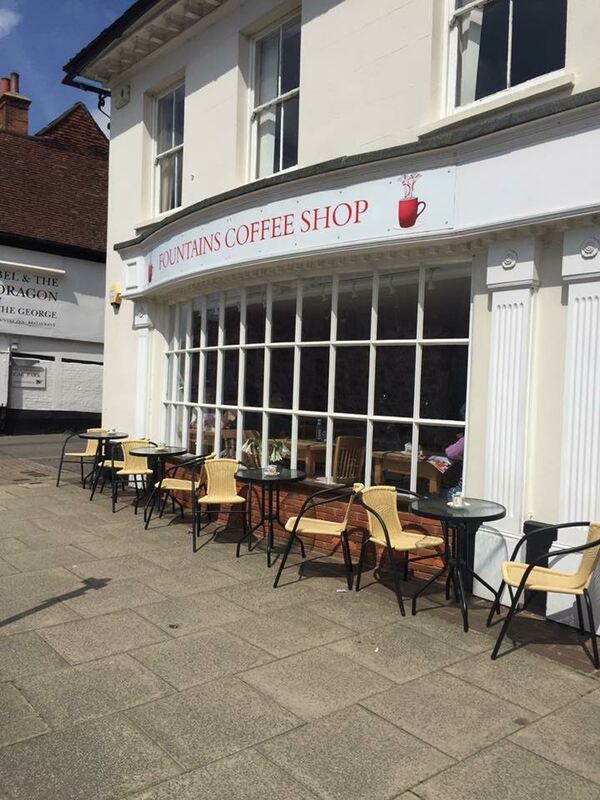 All day coffee and hand-made on the premises pastries and scones. 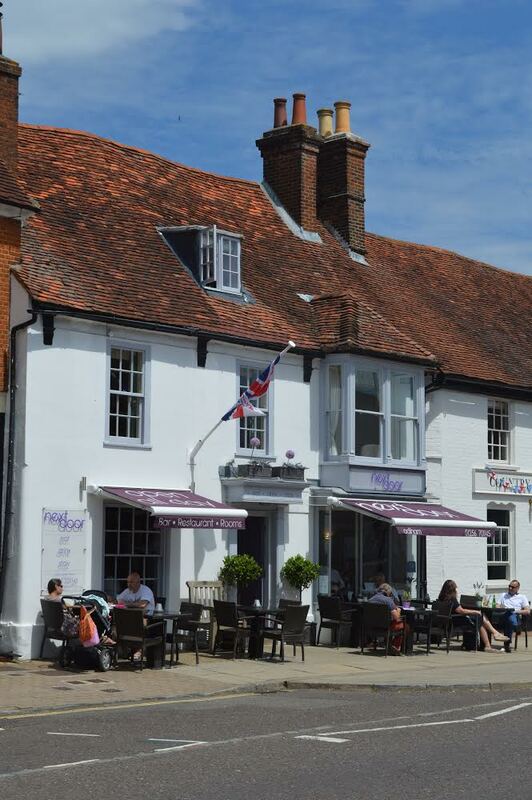 A great Chinese restaurant in a very impressive building set on Odiham High Street. A great coffee shop set within Fountain Malls. 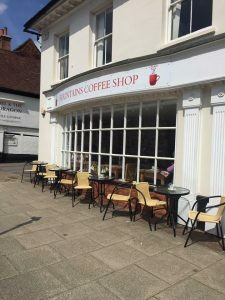 It serves delicious cakes and coffee and is brilliant for a cooked breakfast or delicious lunch. A French Cafe, serving great coffee, sweet and savoury pancakes (crepes and galettes), croque monsieur, light meals, cakes and macaroons. Please visit their website at http://lacreperieinodiham.co.uk for further details. 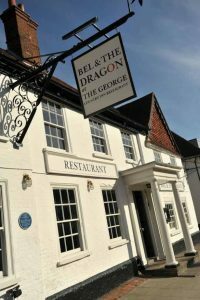 The Bel & The Dragon at The George is a Grade II* listed former inn with features dating as far back as 1540, which offers a unique combination of stylish accommodation, good food and a warm welcome. There are fifteen beautifully appointed bedrooms, styled exclusively in Bel & The Dragon’s distinctive cosy and classic manner by interior designer Nicola Harding, herself born in Odiham. Think crisp linens, soothing earthy and natural shades and stylishly original décor. The Coach House is a newly renovated five-bedroom annexe which is perfect for individual or group bookings. 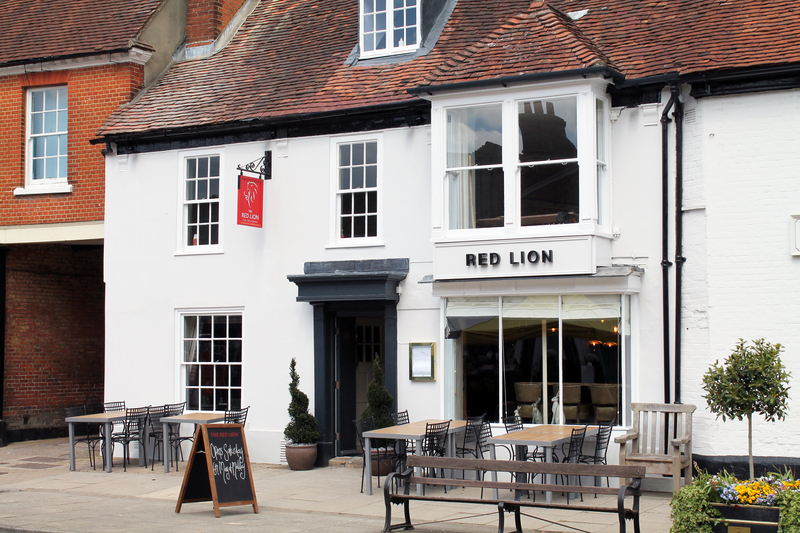 The newly refurbished bedrooms at The Red Lion offer the perfect retreat; marrying the rustic charms of the historic inn, packed with character (and a few low beams! ), with contemporary comfort and style. All rooms feature top of the range ensuite bathrooms, sumptuous beds, crisp white linen, fluffy towels and dressing gowns and luxury ESPA toiletries. Free wifi, flat screen TVs and in-room mini bars are also included, with some additional local comforts thrown in for an enjoyable and restful stay. A continental breakfast is available throughout the week, with cooked breakfast available Saturdays and Sundays, to both room guests and the public. Visit www.redlionodiham.co.uk to find out more or book your stay. The Derby Inn features three spacious, en-suite letting rooms. They are maintained to a high standard of decor and cleanliness whilst being cosy and providing all the little extras to make your stay comfortable. 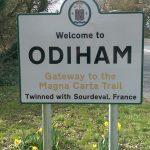 Odiham is twinned with the stunning French town of Sourdeval which is situated in the Manche (Normandy region) in the north of France at 45 km from Saint-Lo and 240 km from Paris.